“It’s like Scotland!” were the words Marino Franchitti used to describe his first impression of the Nordschleife, on his debut here in 2004. 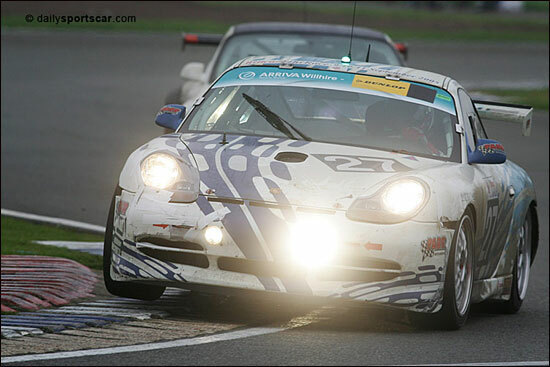 With the Land Motorsport Porsche 996 GT3-RSR, he was up to second place overall when the clutch broke late in the Nurburgring 24 Hours. He will be back for more this year, with an all-British team (for the race on June 17-18). The driver lineup listed for the #27 Porsche 996 GT3 rings familiar: Britcar team mates Barry Horne and Bill Cameron were Marino’s team mates in the inaugural Britcar 24 Hours at Silverstone (photo below). Horne is a former British and European Caterham Champion (both in 2002), as well as the 2003 British Carrera Cup Champion. The technical side of the operation will be handled by reigning British Carrera Cup Champions, Team Parker Racing. They know a thing or two about Nürburgring competition as well; this will be their fifth attempt at the 24 Hours, with a class win, and eleventh place overall, in 2002, their best result so far. "I am really looking forward to the race, and it's great to be back at the Nürburgring,” says Marino, “it's the most challenging race I have ever done. It's fun being back there with my old team mates too; we know we've got a strong package, now it's up to us to do a good job and hope we can get a good result". 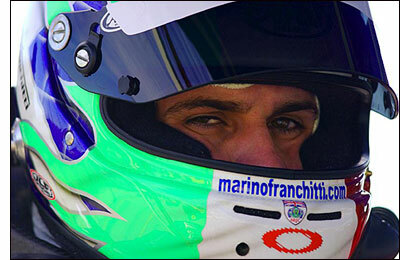 - Horne / Cameron / Franchitti will also join forces again for the Silverstone 24 Hours this coming September. We'll endeavour to cover the Nurburgring 24 Hours while also covering Le Mans - but it might be a struggle. Ed.